A Blue Racer (Coluber constrictor) observed in Livingston Co., MI. 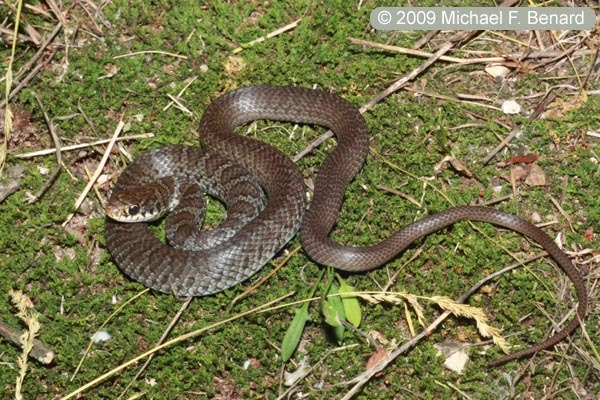 This is a juvenile snake. 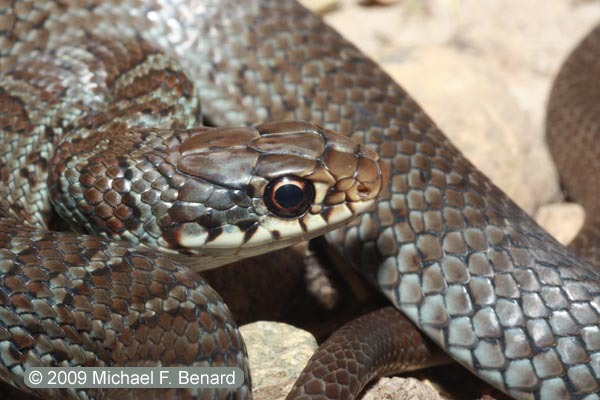 Young blue racers have a blotched pattern that slowly fades over time. 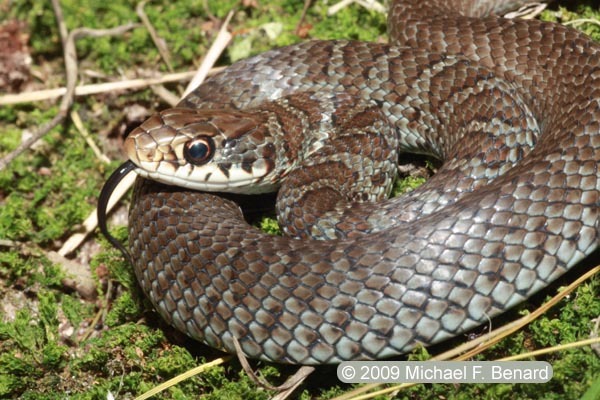 Adult Blue Racers have a striking solid blue coloration.